From The Toronto Star. 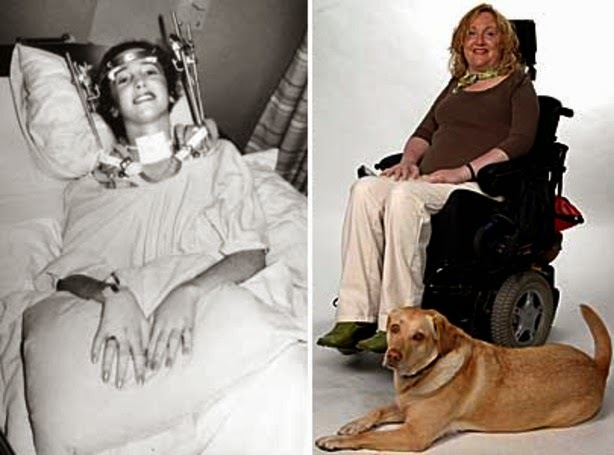 She also wrote the 2013 book, What I know: Lessons from my 30 years of quadriplegia. “She wasted no time showing me what she was doing here,” van Rijn recalled Sunday. Despite “my accident,” as Turnbull called the 1983 shooting during a robbery in the convenience store where she worked, she graduated with honours from Arizona State University’s journalism school as class valedictorian in 1990. She was subsequently hired by the Star, where she became a champion of disability rights and organ donation over her incredible career at the newspaper. Former Ontario Attorney General Roy McMurtry befriended Turnbull shortly after the shooting. “I admired Barb so much. She was without a doubt the most courageous person I had ever known,” he said. Newsroom colleague and close friend Joe Hall said he was shocked by how quickly Turnbull made people see her as she wanted to be seen.